Trelawney looks adorable in the Brigitte Jersey Top in NAVY STRIPE/red & the Sainte Maxime Skirt in SKY BLUE DENIM. This stripey Brigitte Jersey Top features a scooped boat neckline, 3/4 sleeves and contrast detailing. The classic stripe top is also synonymous with chic Parisian style. We’ve just added a Sprinkle twist. 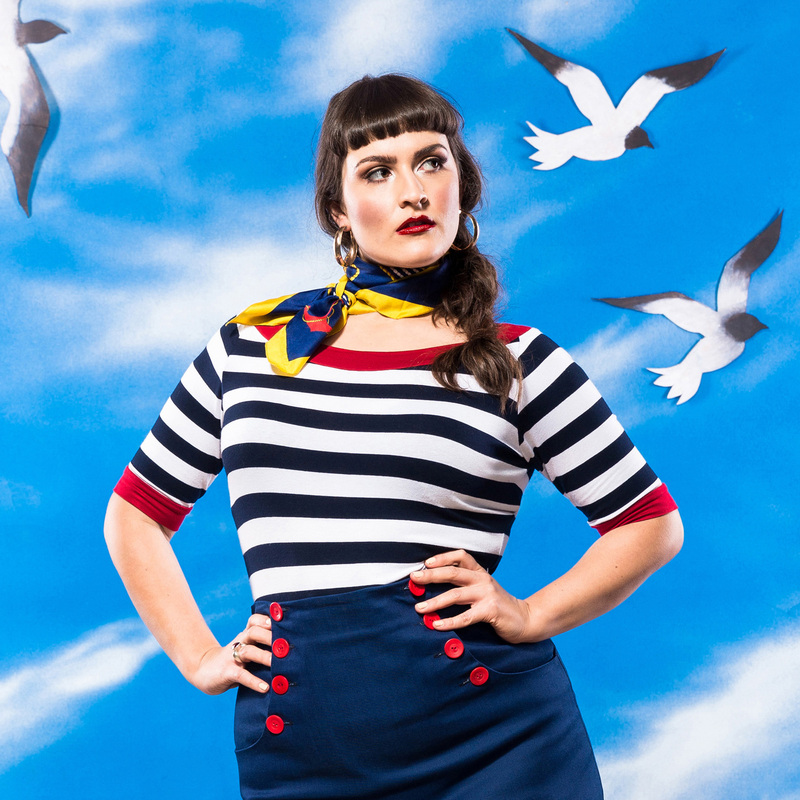 The high waisted denim Sainte Maxime Skirt, features sailor-like front button detailing and pockets, a slight a-line skirt and is curved at the hip. Just perfect for womanly curves!